Prabu Abyasa anak Prabu Palasara, raja Hastinapura juga menggantikan Prabu Palasara. Prabu Abyasa seorang raja yang bijaksana, adil dan kasih sayang kepada rakyatnya, menepati sebagai adat istiadat seorang raja. Kemudian baginda jadi raja pendeta, artinya seorang raja yang menjadi pendeta, bukan raja sekalian pendeta – bergelar Begawan Abyasa, di gunung Retawu atau Saptarengga. Waktu bertahta bernama Prabu Kresnadipayana.Kemudian Sang Begawan Abyasa meninggalkan jaman fana ini pindah ke jaman baka dengan sempurna senyawa-raganya dan dijemput dengan kendaraan cahaya oleh Dewa. Prabu Kresnadipayana bermata jaitan, hidung mancung, berjanggut. Bermahkota, berjamang tiga susun dengan garuda membelakang, berpraba. Berkain bokongan kerajaan dan bersepatu. Begawan Abyasa, ialah Prabu Kresnadipayana setelah jadi pendeta berdestar meruntai ke belakang, berjamang dengan garuda membelakang, sunting sekar kluwih, berbaju dan berselendang, bersepatu. Berkain rapekan pendeta. Sebelum muksa (wafat, hilang dengan badan kasarnya), Begawan Abyasa berkeliling diiring oleh keluarga Pandawa dan keturunannya ke luar kota (negeri), melihat bekas-bekas tempat perang Baratayudha dengan terharu. Dimana Baginda mengetahui tempat-tempat bekas gelanggang perang, yang rusak segera diperbaikinya, dimana, mengetahui jiwa-jiwa mengetahui yang belum sempurna, disempurnakanlah dengan puja. Dan ketika Sang Begawan mengetahui jiwa Pendeta Durna belum sempurna, maka titah Baginda kepada Pandawa, supaya mereka menyempurnakan jiwa itu, karena Sang Pendeta Durna juga guru para Pandawa dilakukanlah. Kejadian ini mengharukan rasa hati segala kerabat Pandawa, karena mereka melihat bekas yang tak menyedapkan pada pemandangan. Usia Sang Begawan lanjut, hingga mengetahui lahir cicit Baginda, ialah Raden Parikesit. Nama Kresnadipayana ini setelah Raden Parikesit bertahta sebagai raja di Hastinapura dipakainya. Betara Guru or Sang Hyang Manikmaya, the son of Sang Hyang Tunggal, the grand-son of Sang Hyang Wenang was the king of all gods and lived in the abode of gods, Suralaya. He was also assigned by his father as the power holder of the universe. He was very wise and had a very refined behavior. But sometimes he behaved like ordinary human-beings, he also made mistakes. A Guru (teacher) had to act carefully, politely and wisely, otherwise he could do something which was harmful to others and to himself. For his misdeeds, he had received appropriate punishment. He had no perfect body anymore. He had weak legs, four arms, skin blemish on his neck and a tusk in his mouth as predicted by his father. When he was young Sang Hyang Tunggal had told him that he would had some physical defects if he did not behave in a good manner. He regretted very much his mistakes. Having a tusk lika a giant was a curse from his wife, Dewi Uma, because he could not control his lust. Dewi Uma as a goddess should not curse as it was against the wise teachings. Once he forced to make love with his wife in an unproper place, as the result: a scary god-giant, Kala was born. Kala always disturbed the peaceful life of human-beings (see: Ruwatan Murwakala). Other time, he could not stop his desire, seeing a half-naked Anjani bathing in a lake. Anoman, a white monkey was born, luckily Anoman turned to be a wise monkey. Despite his human mistakes, he had done many positive things to preserve a good and correct life in the universe. From the above family tree, two of his ten sons, Brama and Wisnu, were the ancestors of the nobility in Hastinapura. Raden Bremani, the third son of Brama, a knight who dedicated his life to ascetism (Satrio Pinandito) married with Dewi Srihunon, a Wisnu’s daughter. From a pair of good parents, a son of noble character, Bambang Parikenanwas born. All Parikenan’s descendants, were wise ascetics. They dedicated their lives for the holy things, Samadi (meditations) to preserve the world for the welfare of mankind. Resi Manumayasa, Resi Sakutrem, Resi Sakri, Palasara and Abiyasa, they lived in the retreat/Padepokan of Satasrengga. Abiyasa, who had been accustomed to live in self-denial, a just, sakti and wise man, had no difficulty to be a ruler. Under Kresna Dwipayana, the kingdom of Hastinapura was prosperous and respected by many other kingdoms. He had three sons Destarata, Pandu and Widura. (see also Mahabrata). They had been educated thoroughly well in ethic, martial art and the teaching of holy Wedha etc. Three of them had been given good and responsible position in the palace and they had married and had their own children. Destarata, the eldest son was blind. In accordance with the traditional court regulation (Paugeran), he was not entitled to succeed his father as a king. The choice went to Pandu Dewanata, the second son. After everything had been arranged properly and he believed that Pandu could manage wisely the Kingdom of Hastinapura, Abiyasa decided to Seleh Keprabon. (seleh-to resign permanently; keprabon from Prabu means king) to resign permanently as king of Hastinapura and he would live as a hermit and did not want to involve in state affaires anymore. (some other kings, they did Lengser Keprabon, that’s mean the kings resign for a certain period of time, one or two years, in order to seek purification and then they would return to power again). Abiyasa did seleh keprabon not lengser keprabon. Destarata married Gendari, the elder sister of Sengkuni. In fact Gendari wished to marry Pandu but she was rejected. He was very jealous to Pandu’s wives-Kunti Talibrata and Madrim. She vowed that her children (Korawa) won’t be in a good term forever with Pandu’s sons (Pendawa). A move which had been executed gladly by Sengkuni, Duryudana and his brothers and their cronies. Kunti Talibrata was a sakti princess of Mandura, the aunt of Kresna, she was a younger sister of king Basudewa, Kresna’s father. Widura marriedPadmarini, the daughter of King Dipakendra of Pangombakan. He got a son,Sanjaya and two daughters, Padmasari and Padmawati. Pandu Dewanata had destined to have a short live, he died at young age. His soul was snatched by Yamadipati, the god of death while Pandu was making love with Madrim, his younger wife. Abiyasa was very angry to gods, he went to Kahyangan (the abode of gods). He asked gods to revive Pandu, otherwise he would run amok. The gods were worried if Abiyasa ran amok, he should ruin easily the Kahyangan. At last he could be persuaded by Guru telling that Pandu’s death was in accordance with destiny. No one including gods could not help. As a reward, Pandu was assigned as god, who took care the Crator-Kawah Candradimuka in heaven. The legitimate heir of the throne was Pandu’s eldest son, as in accordance with Paugeran (traditional court customs and regulation). But Puntodewa was still a kid. Destarata was assigned as a viceroy of Hastinapura, waiting Puntadewa to be an adult. It was the beginning of the catastrophe in Hastinapura. Loyal followers/supporters : Karna-Viceroy of Awangga. 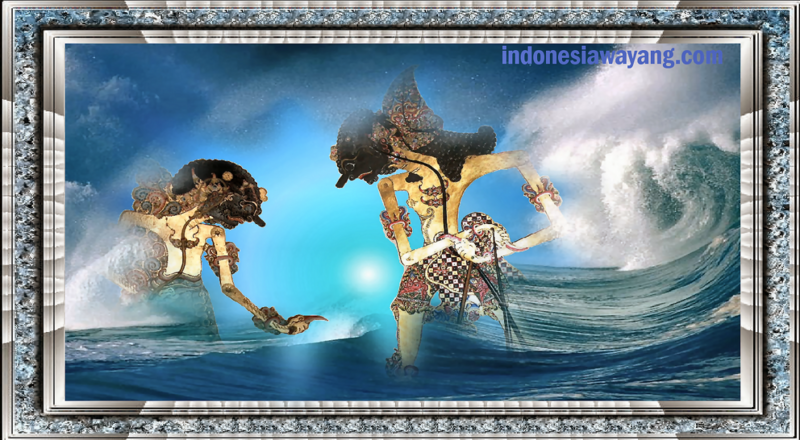 Destarata, as a proxy of Pandu’s small boy tried hard to treat equally his children and his nephews, the Pendawa. But he was too weak towardDuryudana, who felt as a Crown-Prince, moreover the defacto ruler of Hastinapura. He had the right to do anything including to eliminate Pendawa. He would not accept any advice in favor of Pendawa. His strongest supporter was the dirty Sengkuni, his uncle and Prime Minister. Durna to some extent tried to defend Pendawa. But he was afraid to lose his position. Anyhow he loved very much Arjuna-his best student. Duryudana married Banowati, a princess of Mandaraka (see the kingdom of Mandaraka-Dewi Banowati) Dursilawati, the only girl of Korawa, married Jayadrata or Tirtanata, the adopted son of king Begawan Sapwani of Banakeling. In fact, he was transformation from baby Bratasena’s wrapper. Bratasena was born covered by leather wrapper. It was difficult to tear the wrapper. With the advice of Batara Bayu and Dewi Uma, an elephant by the name of Situ Senacould tear the wrapper. All of a sudden, a strong wind pushed away the wrapper. It fell on the lap of Sapwani, who had no child. With his strong magic, he transformed the leather wrapper to be a baby boy-Jayadrata or Tirtawinata. When Jayadrata had grown-up, Sapwani, a powerful and wise priest told him to go to Hastinapura to find Bima, his brother. Jayadrata was cheated by Sengkuni and Durna, telling him that Bima had died and he was advised to see Duryudana. They said that as a strong and good-looking ksatria, Duryudana should take him as his brother-in-law. Duryudana agreed with his advicers’ proposal, Jayadrata was a potential fighter as big as Bima. The wedding between Jayadrata and Dursilawati was not smooth as scheduled. 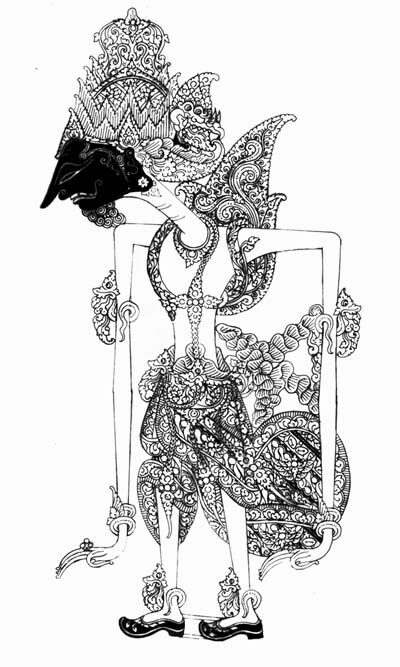 Dursilawati was kidnapped by Gajah Putih, a messenger of Durga, Arjuna could save her. Jayadrata told his father the whole story. Sapwani was displeased, his inexperience son, Jayadrata was trapped by Korawa. It was a destiny, he could do nothing. In Baratayuda, he took part in the dreaful killing of Abimanyu. He was a good fighter who always been protected by Sapwani. Kresna knew the secret. Jayadrata and Saprani died together in the hands of Arjuna. Dursasanawas another mighty Korawa. He was impolite, had no respect to other, always put down Pendawa. However he asked a help from Arjuna to marry him withSartini from Srawantipura. Drupati and Bima never forgot the way Dursasana humiliated Drupadi. He tried to undress her in front of the public. Drupadi was saved by Batara Darma, the god of justice. She vowed that she would never wear a breat-cloth if not made from Dursasana skin. In Baratayuda, he was assasinated by Bima. Durmagati, Citraksa and Citraksi, the killers of Abimanyu were killed by Arjuna in Baratayuda. Aswatama and Kartamarma were killed shortly after Baratayuda. All the elite forces of Korawa were killed in Baratayuda-a final war between evil and truth (see Baratayuda). After the Baratayuda, Yudistira or Prabu Darmakusuma took back his legitimate throne. He reigned the country justly and wisely. He treated with high and honest respect his uncle Destarata and his aunt Gendari. Both of them lived together with Pendawa’s mother Kunti Talibrata in the palace of Hastinapura. They were honored as the Pini Sepuh (elderly respected people) of Hastinapura. Let bygone be bygone. The bad things, which had happened in the past, should be completely forgotten. They loved each other, as it was supposed to be, preparing for brighter, happy future. The grand-children of Pendawa were intensively prepared to continue to reign the kingdom. The three Pini Sepuh lived in a retreat for purification until the end of their time. Then Parikesit was coronated as the new king. Drupadi and the five Pendawa, faithfully followed the ancient traditional teaching of Ilmu Sejati (True knowledge) decided to return to where they belong. Parikesit was throned as the new king of Hastinapura, his official name wasPrabu Kresna Dwipayana, in honor of his great great grand-father Abiyasa or Kresna Dwipayana. With this name he was determined to follow the perfect examples of his great great grand-father to be a wise and just ruler of the country. Flanked by his loyal and brilliant court executives, he reigned Hastinapura to have progress in every aspect of life. The people lived happily, mentally and materially in a just and prosperous society. Parikesit was brought up by his widowed mother Dewi Utari. She never married again, dedicated her life to take care of her only son. Baladewa was also a protector of Parikesit and of course the Pendawa. The elder generation who had a very long age witnessing Parikesit coronation were Abiyasa and the king of Wirata, Utari’s father. There was no riot nor war during his tenure.Jayawikata, the son of Jayadrata with the help from the kingdoms of Trajutresna, Simbar Manyura and Guwabarang, tried to disturb Hastinapura. But they could be defeated soon. Jayawikata was captured by Dwara and got a dead penalty. Hastinapura under Kresna Dwipayana became one of the exemplary strong, just and prosperous countries to many people of Java. 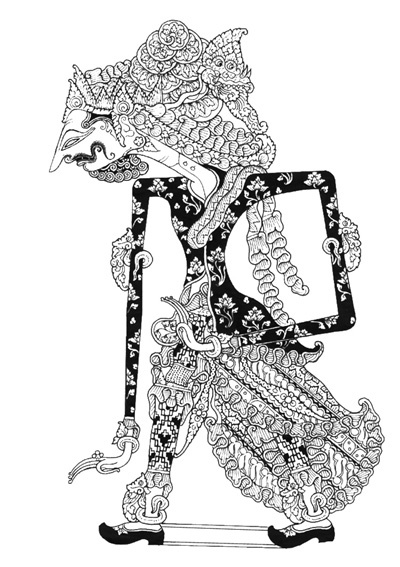 Prabu Jayabaya, the king of Mamenang, Kediri, East-Java. 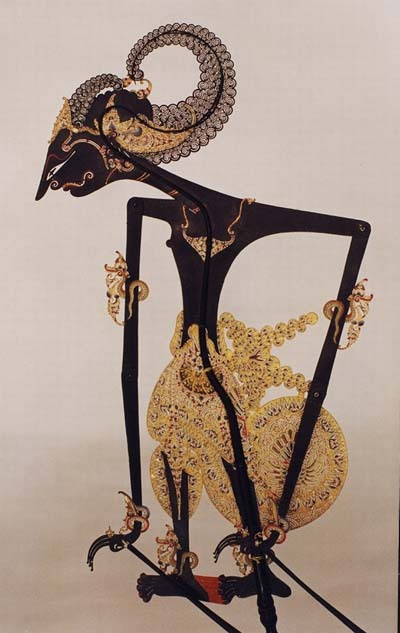 Since Jayabaya, the name of the wayang was wayang Madya. 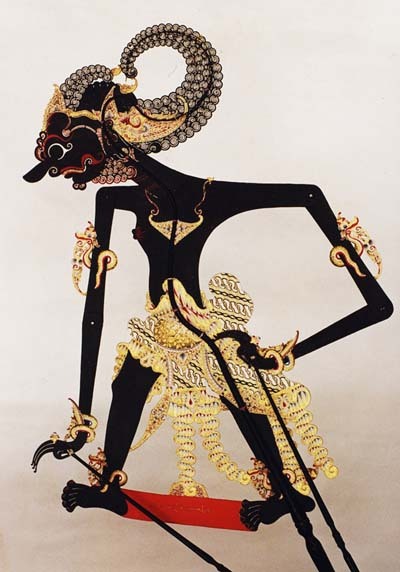 Previously including Ramayana and Mahabarata was called wayang Purwa.